The Dominican Sisters of Mission San Jose request the gift of your prayer for God’s blessings upon us as we enter into our International Convocation, the 25th General Chapter to be held July 22 – 30, 2016, at the Motherhouse in Mission San Jose, California. 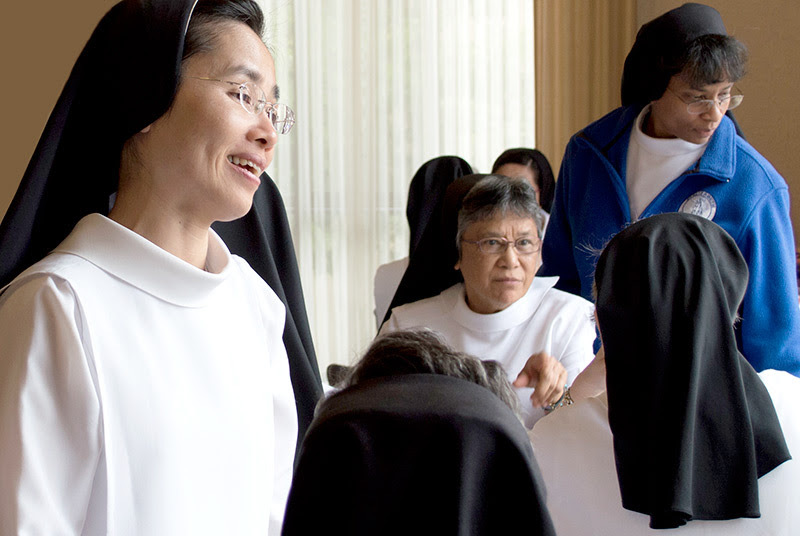 160 Sisters will gather together from Mexico and the United States to set future direction for our life and mission and to elect our leadership for the next five years. With joy and trust we open ourselves to our God who meets us here and is leading us into a future full of hope and new life. The gift of your prayer is greatly appreciated. We welcome messages and invite you to follow our events at msjdominicans.org and Facebook. In this sacred time of sharing, discerning and imagining our future, we are conscious of the abundant blessings that are ours through the goodness and generosity of all who join us and support our mission. How very grateful we are! We know we are more because of you. Be assured we entrust you each to our God’s tender mercy and love.